Shillong Sep 14 (IANS) Meghalaya Chief Minister Conrad Sangma on Friday said that veteran Congress leader Donwa Dethwelson Lapang was forced to quit the Congress. 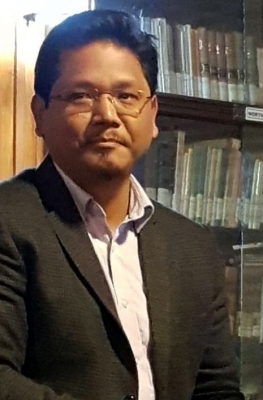 Sangma who is leading the National People s Party-led Meghalaya Democratic Alliance coalition government hinted that his party was welcoming Lapang saying "people with such track record experience and knowledge can be used in so many ways." Lapang a five-time Meghalaya Chief Minister quit the Congress - with which he was associated for over four decades - on Thursday night saying it had embarked on a policy of phasing out senior and elderly people. "In my opinion it means that services and contributions of senior and elderly people are not useful to the party. Since the spirit and enthusiasm to work for the people is still burning inside me this restriction made me frustrated and compelled me to be no longer comfortable in the party " Lapang said. The resignation was a major blow to the Congress in the northeastern states as it has come ahead of the 2019 Lok Sabha polls and the upcoming Mizoram Assembly elections. "It is sad he has no other option but to resign from the Congress " Sangma told journalists. "I think the Congress will realize that it is a great loss to it." Asked if the NPP would welcome Lapang to join the party he said: "We will discuss and see... It is something we can look at and discuss. However it is up to Lapang to decide. But I think people with such a track record and experience and knowledge can be used in so many ways." Meanwhile the Congress expressed shock over the sudden resignation of Lapang. "We are caught by surprise... He is still in Delhi and we (state Congress leaders) will meet him on Monday (September 17) and request him to reconsider his resignation " James Lyngdoh the State Congress Working President told IANS. Lapang did not contest the February 2018 Assembly elections but campaigned for the Congress.